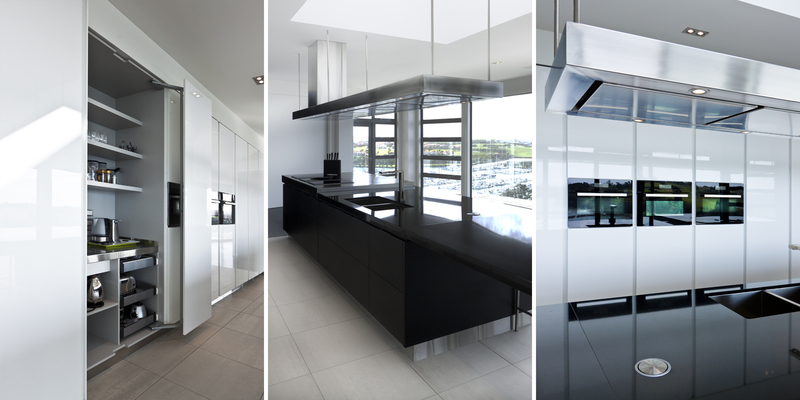 Kitchens By Design | Kitchen Design for Discerning Clients : Gulf Harbour. 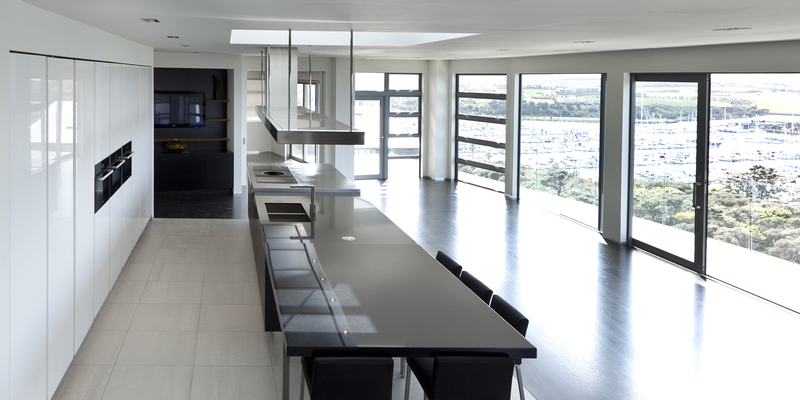 This large, contemporary, statement kitchen was designed for a new home overlooking Gulf Harbour marina on the Whangaparaoa Peninsula. This kitchen is all about the view. Consequently, we placed the cooking modules and double sink on the island, facing out, to allow the cook to enjoy the vista as much as possible. 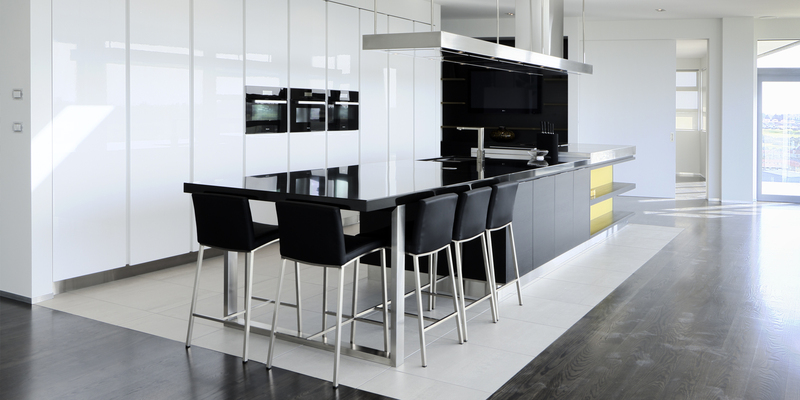 The black stone benchtop also incorporates an integrated dining space for up to eight people. 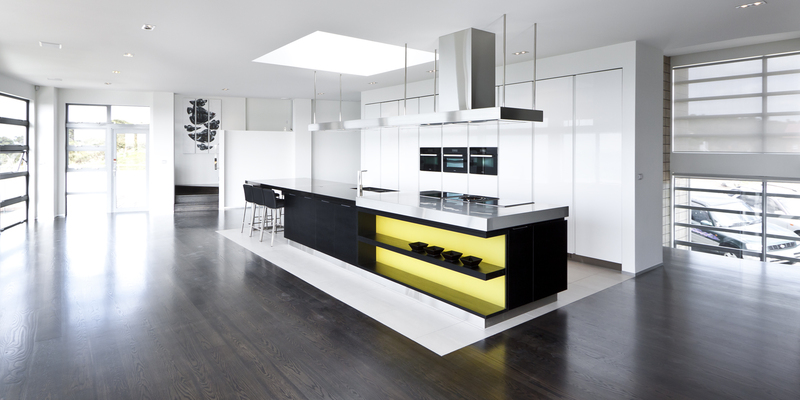 Overhead, a custom stainless steel unit provides task lighting and extraction. Stainless steel toekicks were also specified. The back wall of cabinetry is finished in a high-gloss white, and is segmented into nine equal sections, containing the pantry, integrated fridge/freezer, and three ovens. The only departure from the black-and-white colour scheme, which is a theme repeated throughout the house, is a splash of citrus on the front of the island, just to give it a bit of lift. 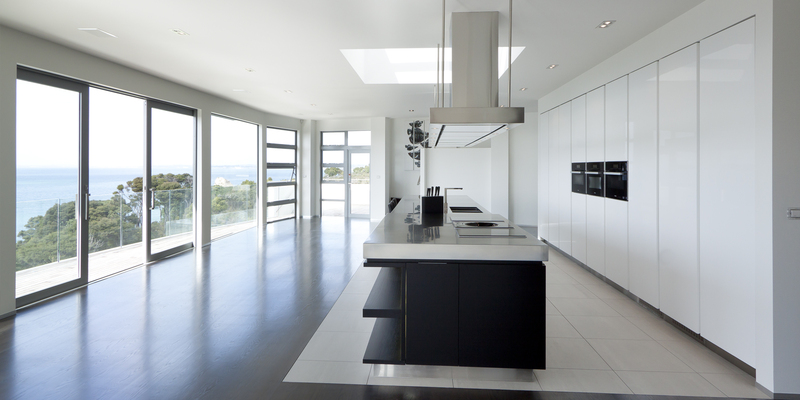 This kitchen is all about the view. Consequently, we placed the cooking modules and double sink on the island, facing out, to allow the cook to enjoy the vista.